Rhodes is one of the most unique islands in all of Greece because of the clear Medieval presence on the island. Because it was the official headquarters of the Knights of Saint John during the Middle Ages, there are plenty of unique buildings located here. If it weren’t for the fact that these buildings are surrounded by lush vegetation, the hot Greek sun, and beautiful views of the Aegean Sea, it would be easy to think you were in a place such as England that has a strong Medieval history. You should begin your visit with a trip to the ancient acropolis at Lindos. Many visitors consider this to be one of the highlights of their visit to the village. It is also a bit of a hike to get to the top. If you don’t want to hike yourself, you can always take a donkey. 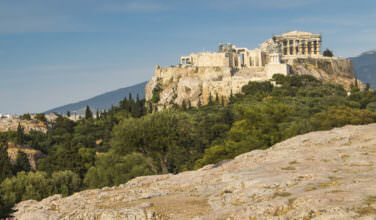 Not only will you get to see the ancient acropolis when at the top, but you’ll also be able to enjoy the beautiful view. The acropolis also has some medieval influences, such as the medieval gate that is at the entryway. 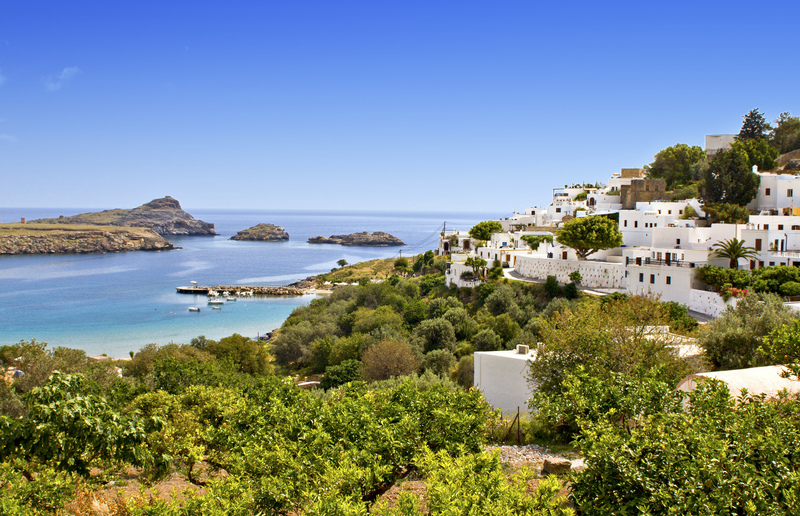 Saint Paul’s Bay is another essential thing that you must visit while you’re on Lindos. This bay has a small strip of beach on it with plenty of sun beds that will enable you to enjoy the warm sun. There are also some cafes and tavernas that are located around it and the bay has some incredible views of the sea. You could easily spend the day here relaxing in the sun! Another highlight of Lindos is to spend some time wandering around the Medieval castle at Lindos. This is the main fortress where the Knight’s of Saint John had their official headquarters. Although they are long gone, buildings such as the castle still remain. In order to get the most out of seeing this historical site, you may want to hire a tour guide to show you around. They’re extremely knowledgeable and will give you an overview of the history. There are also plenty of medieval buildings near the castle to learn about, as well! 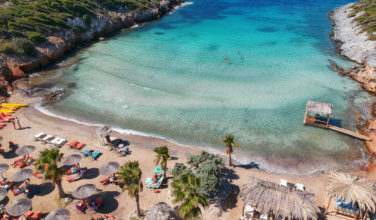 While you’re on the island of Rhodes, you won’t want to miss spending time at the village of Lindos. This is a charming place that has plenty of things to do. Besides the activities listed here, it is important to know that this village is also great for meandering. Spend some time walking through the streets, shopping, watching the sunset, and eating a great meal. If you really like it here, consider staying in one of the nearby resorts or hotels so that you can really enjoy seeing all the sites.